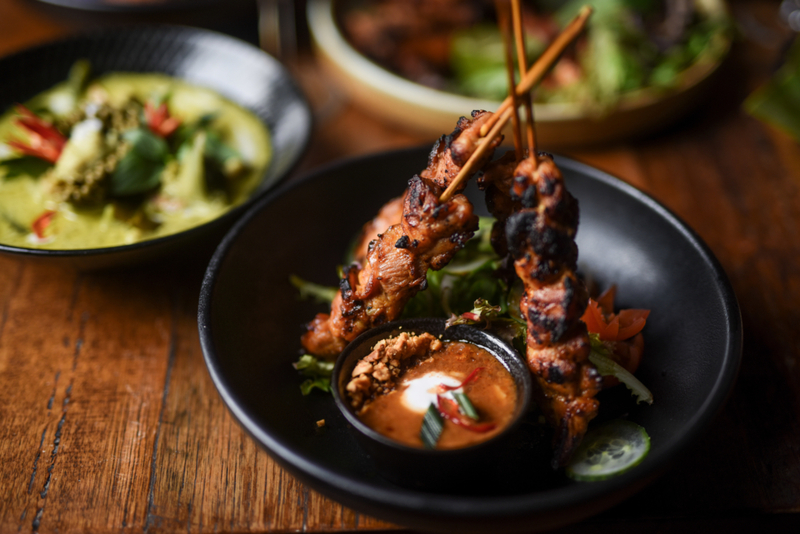 Ever since I’ve got back from Bangkok a couple of months ago, I’ve been on the look out for great Thai restaurants in Melbourne which are authentic and don’t hold back on the spice. A friend recommended that I try Lemongrass Thai, which has been an institution in Carlton for a number of years. 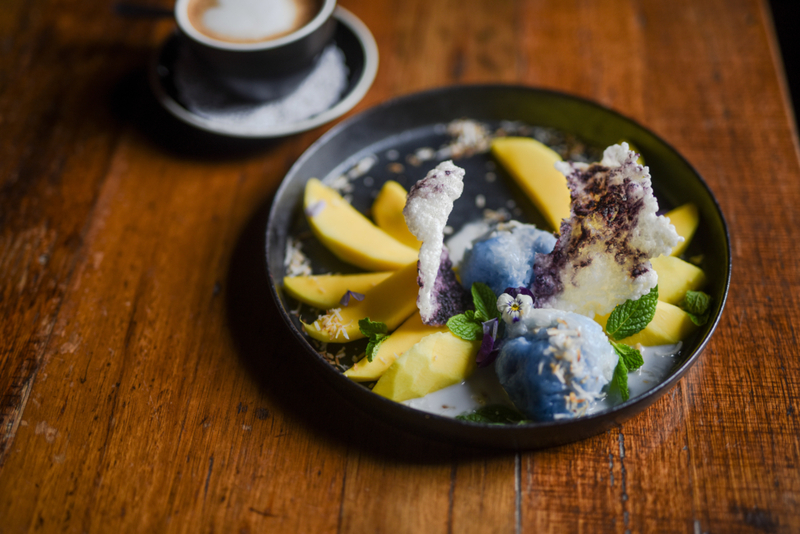 Who knew there could be such a delicious Thai restaurant on Lygon Street, a street famous for dozens of Italian restaurants? 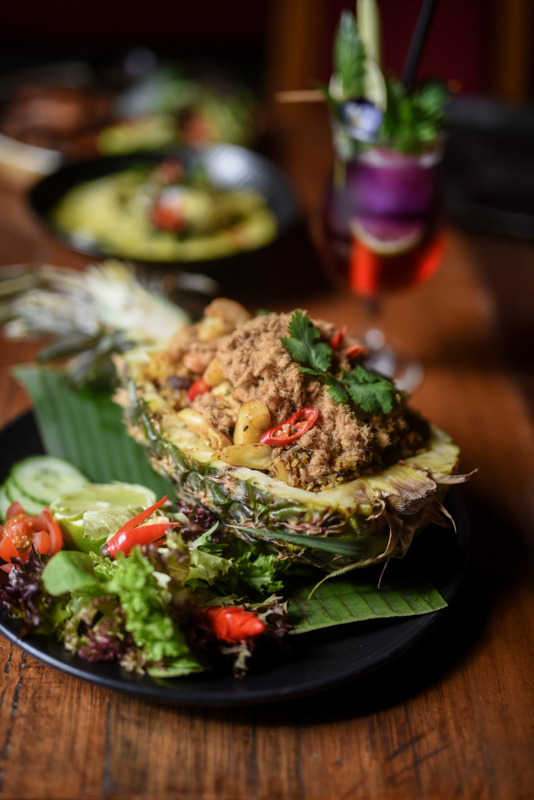 Lemongrass has quite the history, first opening in 1989 with the inspiration and support from Acharn (Grandlady) Boonchoo who was regarded as the High Priestess of Royal Cuisine in Bangkok. At that time Acharn Boonchoo was the Executive Chef of the Bussaracum chain of restaurants that specialised in Royal Cuisine. She also taught at the Royal Palace and at the University. One of her granddaughters worked at the Palace of the Sultan of Brunei and another worked at Lemongrass for a number of years. 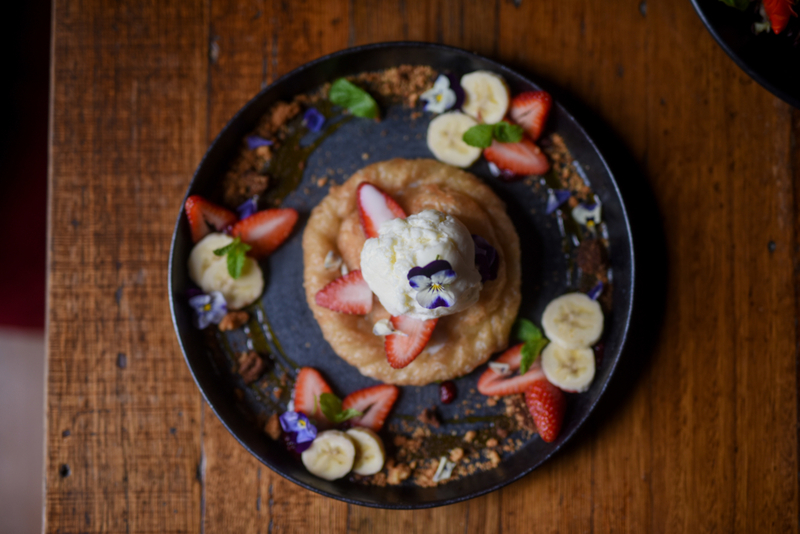 Lemongrass began with a group of four chefs from the Bussaracum and now Paula Bertus is now Head Chef of the kitchen. The Thai restaurant is definitely not a stranger to awards. 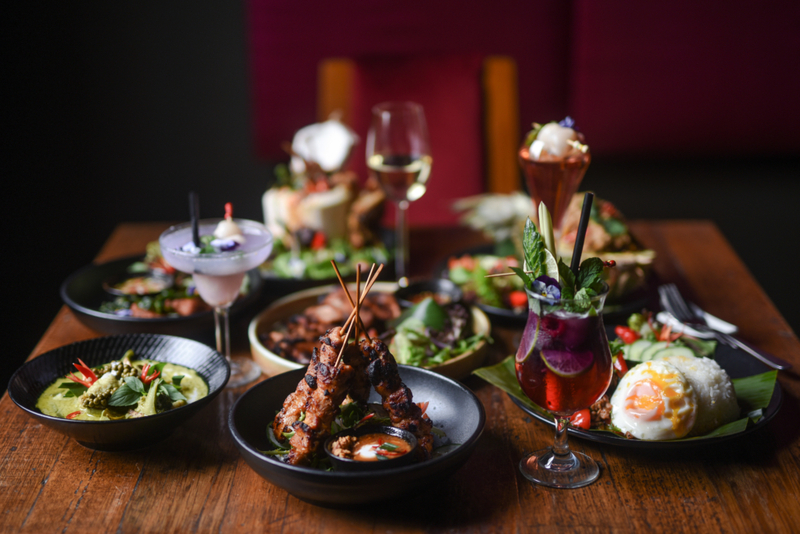 In 2017, Lemongrass was awarded the Winner Thai Restaurant Victoria in the Restaurant & Catering Savour Australia Awards as well as being the winner of ‘Best Thai’ for the last seven years in The Age Good Food Guide. 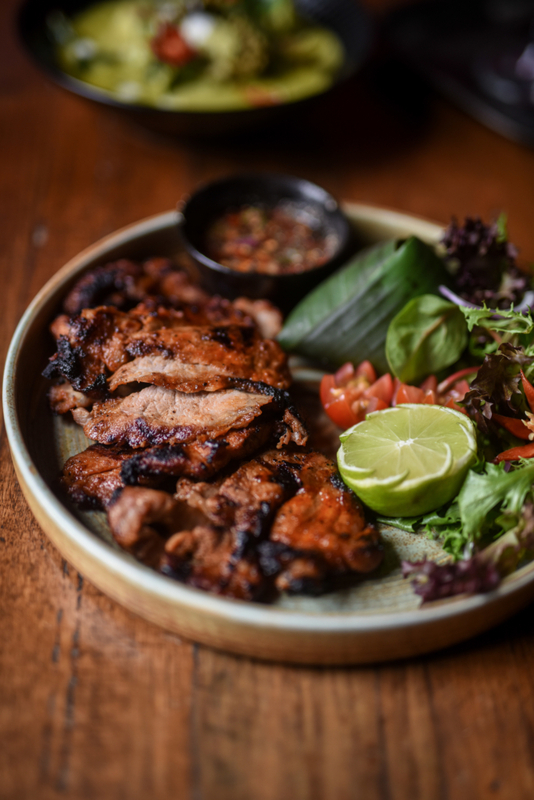 The menu takes diners on a culinary journey from North to South Thailand, showcasing authentic dishes and flavours.All the pastes and sauces are handmade from scratch, so you can really taste the freshness of spices. 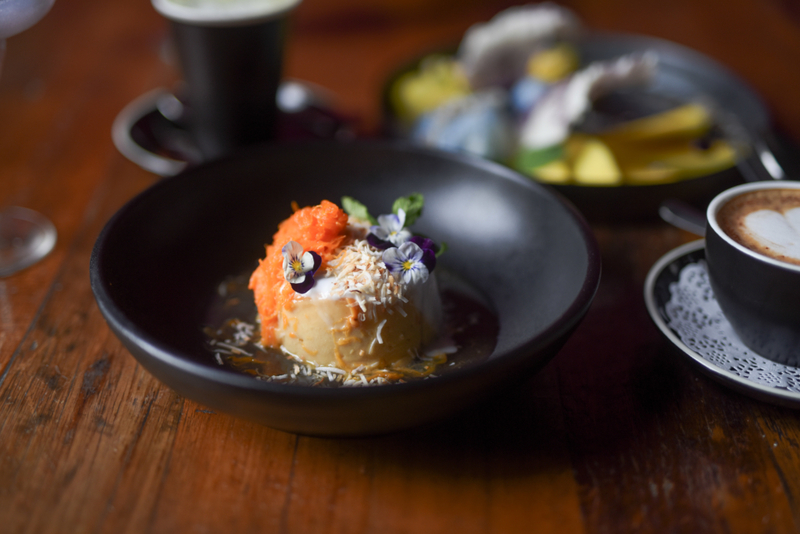 Each dish has been perfectly balanced, melding sweet, sour, spicy and salty flavours together like one happy family. For appetisers, you can feast on dishes like Mieng Khorn (Betel Leaf) served DIY style, popping with fresh ingredients like ginger, lime, pomelo, dried shrimp, garlic and ginger, the famous Khao Neow How Bai Toy (BBQ Sticky Rice) a popular street food in Thailand served in a grilled banana leaf, or the Moo Yang (Flamegrilled Pork Neck) – another Thai delicacy paired with a spicy chilli dip. 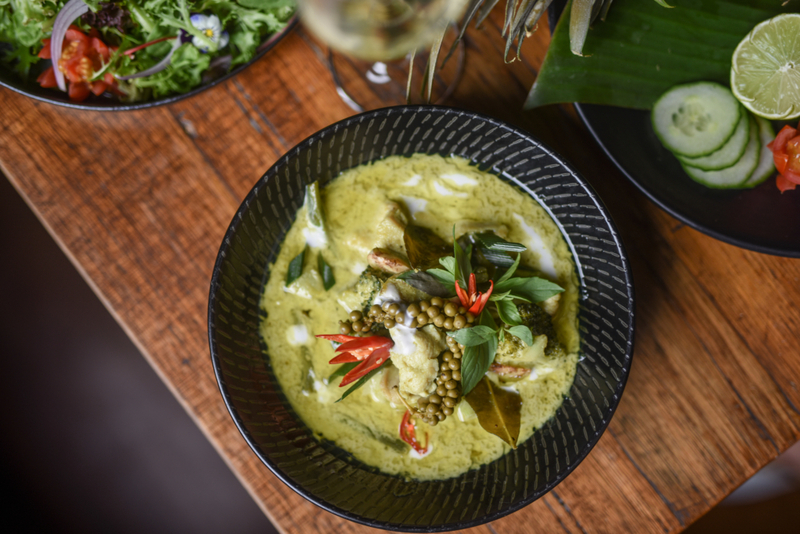 Warm up with a Tom Yum lemongrass soup or one of their seafood hot pots, or cool off with a green papaya salad teamed with tiger prawns or soft shell crab. In typical Thai fashion, curries are also a highlight. 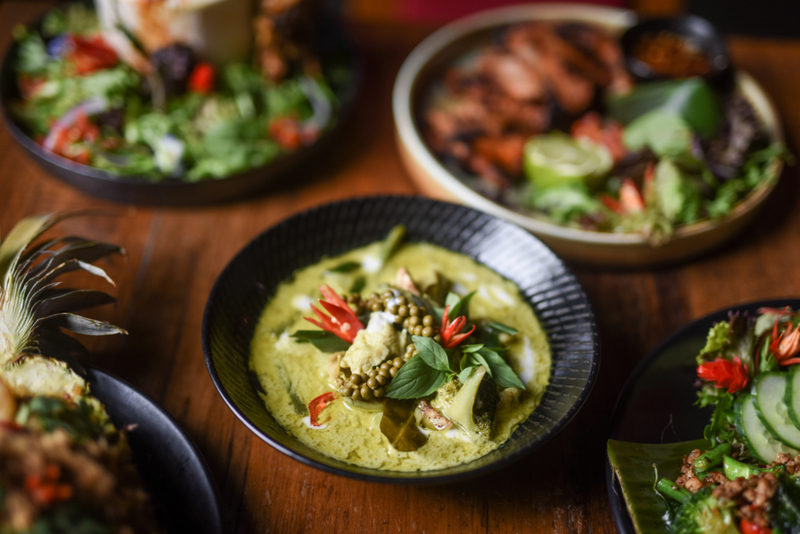 Their green curry is one of the best curries I have eaten, full of tender chunks of chicken, Thai eggplant and Asian snake bean. 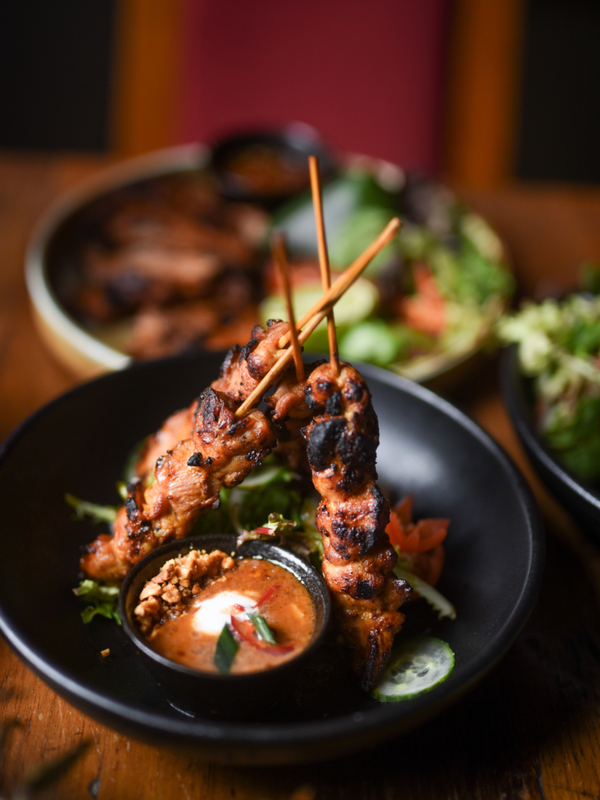 Or for something extra hearty, try the Southern Thai favourite – the mussaman curry with succulent roast lamb shanks. 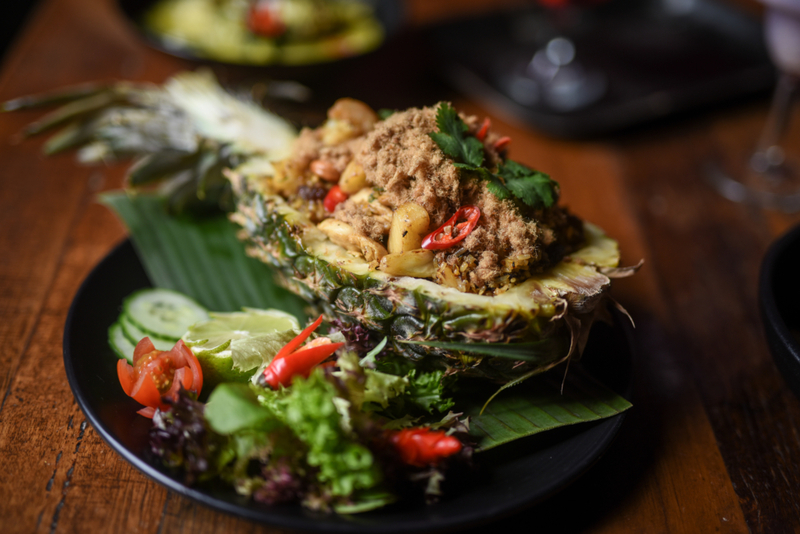 Don’t miss the Pineapple fried rice – fried rice “Thai style’ full of raisins, cashews, onion, prawns, chicken, egg and topped with pork floss, served in half a pineapple. But, to be honest, you can’t really go wrong with any of the dishes here. 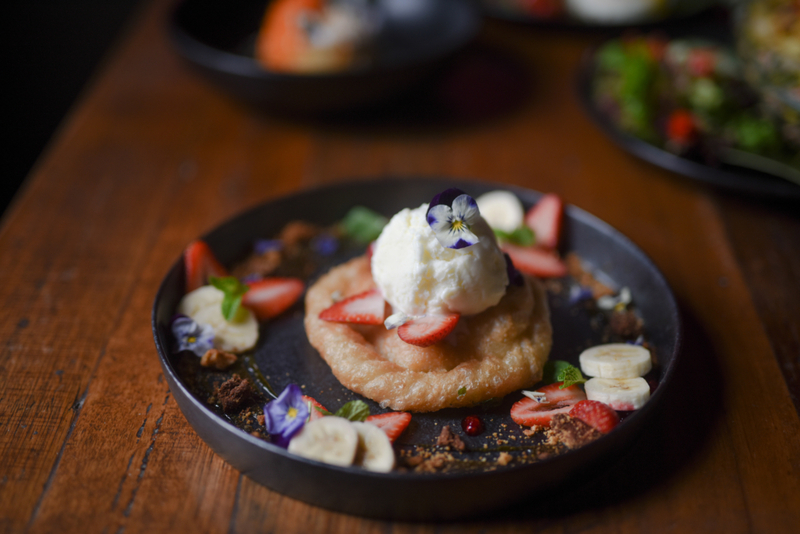 Finish on a sweet note with one of their mouthwatering desserts. 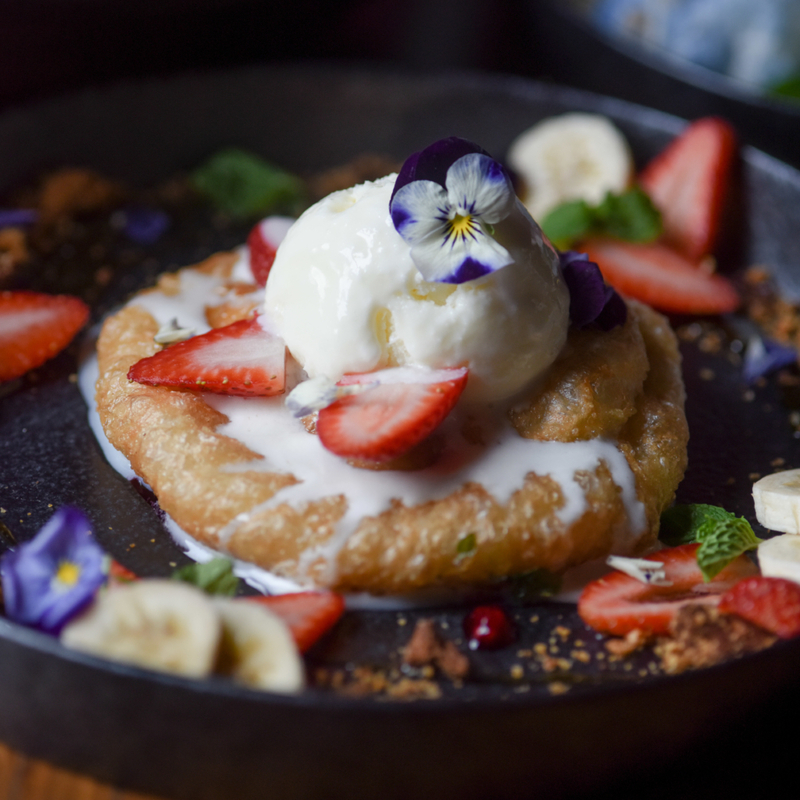 My favourite is the sago, taro and black bean served in coconut milk, which is served warm with traditional gold threads and the Thai take on the banana fritters, topped with berry coulis and ice cream. I’m getting hungry again just thinking about it.